The Pettitt family has a long history of retailing in Wexford. From 1825 to 1900 Cormac Pettitt’s Great-Great Grandfather and Great-Great-Great Grandfather ran a grocery, wine and spirit business in Wexford’s main street. From 1900 to 1946 the leases on the premises remained in the hands of the family and were rented out. In 1946 Cormac Pettitt’s Grandfather, Jack Pettitt, who was then working with the L&N, took over the Beechville Dairy in Wexford’s main street, one of the premises formerly owned by his grandfather. From here he ran a counter service store until 1965 when he purchased the premises next door, merged them together and pioneered the first self-service operation in Wexford. 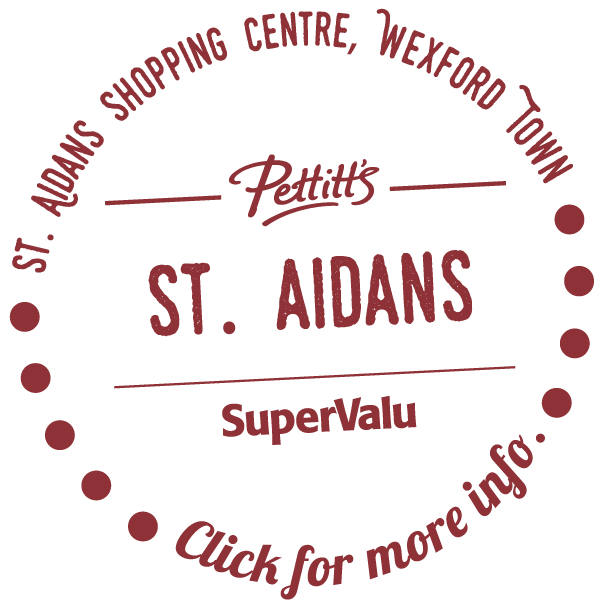 In 1975, a new acquisition was added in the form of a supermarket in St. Aidan’s Shopping Centre, Wexford. Cormac Pettitt’s Father Des Pettitt became responsible for the general management of this store. In 1978 Des Pettitt went on the expansion trail with the purchase of a store in Enniscorthy, and in 1983 a new supermarket was opened in Gorey. 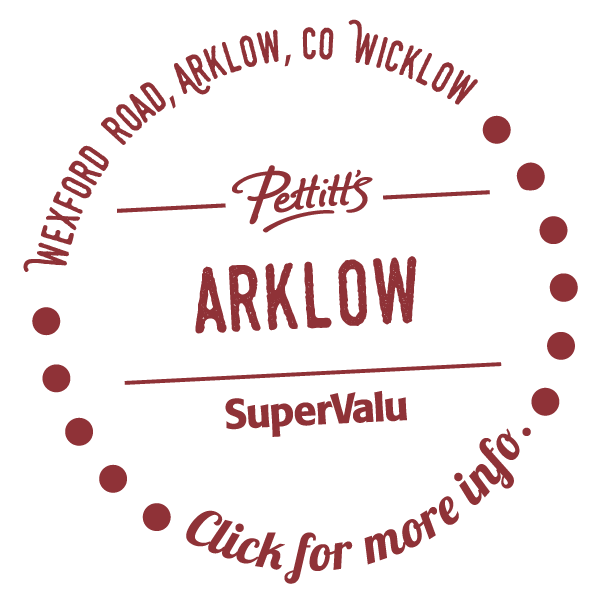 The Pettitt family bought its first store outside of County Wexford in 1987 in Athy, Co. Kildare and then again in Arklow, Co. Wicklow in 1989. 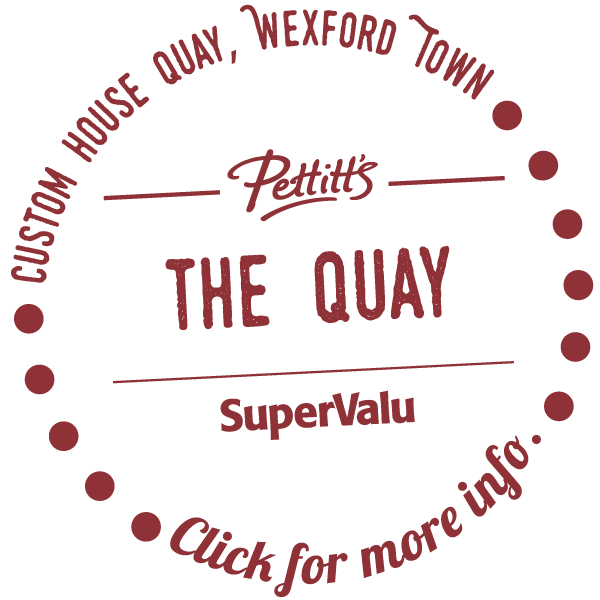 In January 2006, Pettitt’s joined SuperValu, the franchise group operated by Musgrave’s, the largest grocery distributor in Ireland. The strong Irish brand compliments what Pettitt’s in known for: superior customer service and quality fresh produce. In November 2008, Pettitt’s took over SuperValu Key West, just a stones throw from where Jackie Pettitt opened the first store. Pettitt’s Supermarkets have a strong reputation for being customer and community focused. The strong Irish brand compliments what Pettitt’s is known for:superior customer service and quality fresh produce. In 1964 Jackie Pettitt opened his first food shop on the Main street in Wexford town. Jackie’s son Des took this concept further by purchasing Sleedagh Farm, Murrintown, Co. Wexford in 1986. He used this farm to raise high quality beef cattle for the Pettitt stores. This venture was so popular with customers that the farm could not keep up with the demand. Des selected some outstanding beef farmers in the south east to raise the extra cattle needed. These farmers had to meet the exacting standards of Sleedagh farm. One of the first farmers we dealt with was Edward Cooley, Newtown, Ramsgrange, Co. Wexford in 1987, we are still buying beef cattle from Edward’s daughter Joan who has taken over the farm. Sleedagh Farm still produces approx 200 beef cattle per year, the remaining beef cattle are sourced from Board Bia approved farmers, and these farmers are the best farmers in the south east whom we have built strong partnerships with through our mutual commitment to quality. We pay a premium price to our local farmers for premium beef cattle. We only kill cattle up to 25 months of age, this guarantees consistant tenderness. Our beef is reared on a diet of grass and silage with some grain to finish, because of this our beef has a lower fat content, and this is mainly unsaturated fat due to the grass based diet. The beef cattle we use are Limosins, Belgian Blue, Charolais and Simmental crosses, we have found over the years that these all produce high lean conent and low fat content without compromising taste or tenderness. Lamb, Pork and Bacon is sourced to Pettitt’s Sleedagh Farm exacting standards which means young animals from Board Bia approved farms thatmeet our high standards producing high meat and low fat content. Pettitt’s Sleedagh Farm Sausages are made to an age old recipe with high meat content and much lower than average fat content compared to other sausages. Pettitt’s Sleedagh Farm sausages are produced fresh daily. Welcome to the Cellar Off Licence at Pettitt’s SuperValu. In each of our stores there is a huge offering of beers, spirits, wines and even something sparkling for that special celebration. So no matter what your taste, budget or occasion there is something for everyone. Having a party? We’ll supply the wine glasses when you buy your wine at Pettitt’s. Subject to availability. Wines – Red, White, Rosé, Champagne or Sparkling. Our Off Licence has a huge range of wines from old and new worlds for you to choose from. Unsure of what to go for? Just ask our trained Off Licence Manager and they would be delighted to advise you. If you cannot find what you are looking for, let us know and we will do our best to order it in for you. Pettitt’s Off Licence have the widest selection of world beers in the east and south east of the country. We have an extensive range of Irish micro-brewed craft beers that is always growing. Or why not try beers from China & Australia or Ales from England, Italy, Belgium and as far as Brazil to name but a few. We also stock a wide range of non-alcoholic and gluten free wines and beers. 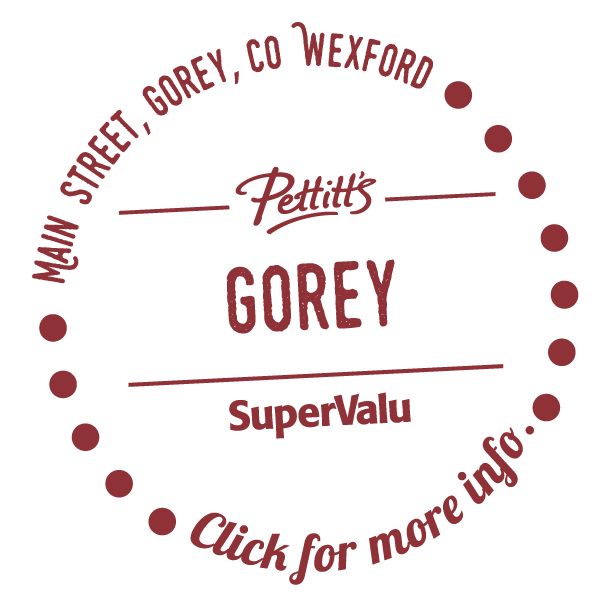 At Pettitt’s SuperValu we are passionate about great food and excellent service. It is our pleasure to offer you our years of experience in catering excellence to help you choose the perfect menu, whatever the occasion. If you have any specific dietary requirements just let us know and we will be happy to help. Our staff in the Off Licence department are so knowledgeable about the wines that we stock and will be happy to inform you about special offers in-store. Why not call in and discuss your food choices and get some advice on matching your chosen menu with that perfect wine! 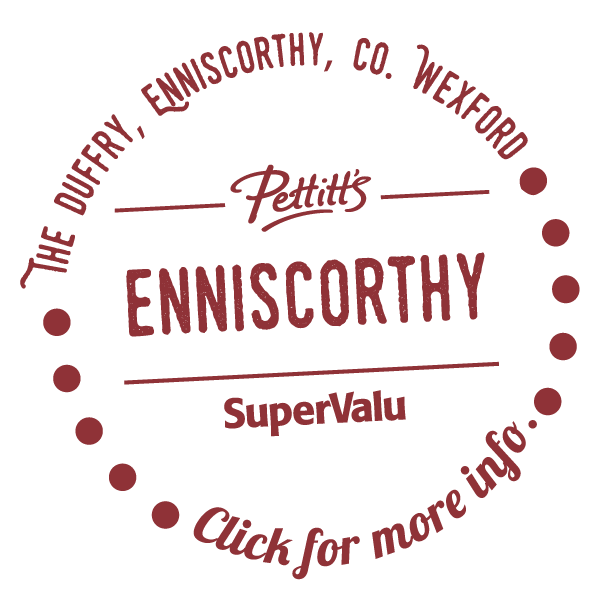 Sign up in your local Pettitts’s SuperValu and get the Best of Both! Earn 1 Point for every €1 you spend on Real Rewards and at key times of the year we will turn Real Rewards points into money back vouchers. You can still use your Pettitts Points card to save change or save for Christmas or any other special occasion. 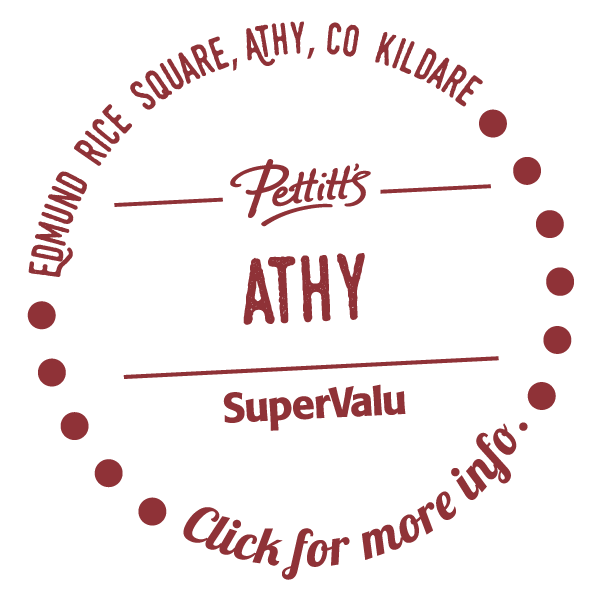 All your Points Cash Balance on your Pettitt’s Points card can be used to spend in any Pettitt’s SuperValu store up until 31st December 2016.